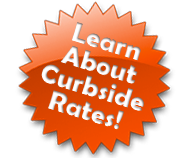 Forget about the hassle of junk removal, we’ll take care of it. 1On site no-obligation estimate. We always call 30 minutes in advance before your 2 hour arrival appointment. Our friendly, Student Works crew will give you a no-obligation estimate for your job. We can also do the estimate and complete the job without the client on site if necessary. 2Load your junk. Once you’ve approved your quote, we’ll start loading your junk pronto. You say the word, we make your clutter nightmare vanish! It doesn’t get much easier than that. 3We clean up. 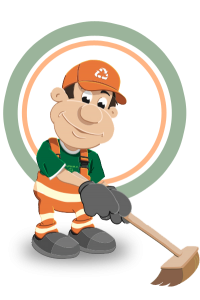 After your rubbish is loaded up, our team does one last clean sweep where your junk used to be. We want to ensure your office or home is left squeaky clean. 4Haul your junk. After we complete the job, we’ll present you with a bill and process your payment. The items taken away will either be donated, recycled, or disposed of properly in a responsible and eco friendly manner. Student Works Disposal makes junk removal easy. We’ll load, haul, and dispose of your junk. You don’t have to lift a finger.